Develop Your Beach Lifestyle in Pensacola! Pensacola, a coastal Florida city that boasts both miles of beaches and a relatively affordable cost of living, is home to NAS Pensacola. 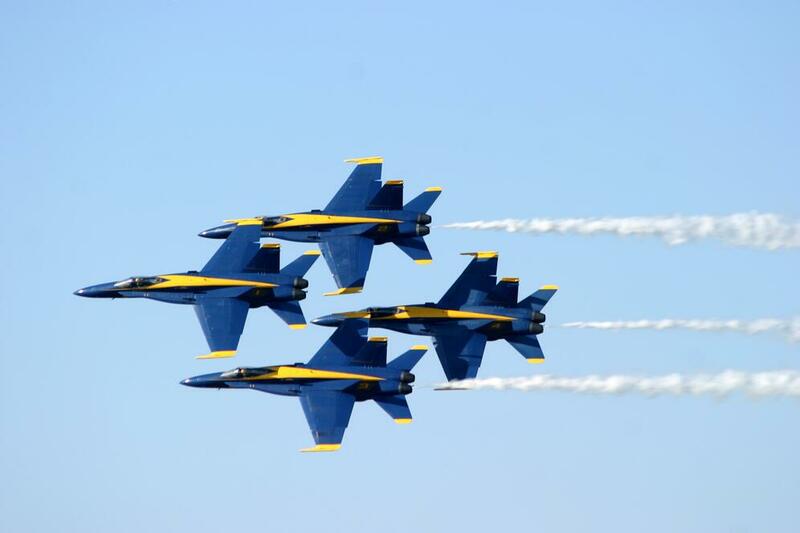 The area is known as The Cradle of Naval Aviation for its rich history in developing naval aviation, and between the National Museum of Naval Aviation and the opportunity to witness the Blue Angels in their training flights, it’s an ideal home for any aviation buff, too! As it is also located close to both Eglin AFB and Hurlburt Field, Pensacola is home to a large number of military families, as you can easily see from a quick search on MilitaryByOwner! According to the reviews of military bases in Florida on Military Town Advisor, Pensacola military families are quite happy to call the area home, too. Almost every neighborhood listed has received either four or five stars out of five! When searching for a home at a new duty station, we can generally find reviews of apartment communities and even military base housing through simple online searches. By adding the option to review individual neighborhoods, Military Town Advisor has created an invaluable forum for military families facing cross-country or even international moves. As of early May, reviewers have shared their opinions about Pensacola on everything from military base housing to apartment communities to actual neighborhoods. You can pay it forward and help make the moving experience easier for other military families by adding reviews of your neighborhood, too, no matter where it is in the U.S.! Pensacola isn’t just for the aviation buffs, though; it’s a great area for families and for those who love outdoor sports. The MWR and Outdoor Recreation Centers at each of the installations regularly host water sport activities, such as kayaking trips, stand-up paddleboarding classes (SUP), and SCUBA training, to name a few. For those interested in biking, there is a 26-mile route known as 30A which is just to the west of Pensacola. Bikers will find a string of beach resorts ranging from sleepy to upscale along the beautiful Santa Rosa barrier island. For those who prefer their outdoor activities to involve a nice drink and a comfortable chair, there’s a style of sidewalk seating for everyone. One of the most famous is Red Bar in Grayton Beach, but you’ll find great cafes in Seaside Beach, Blue Mountain Beach, Rosemary Beach, and WaterColor Beach, too. Fortunately, you can participate in these activities year-round as the weather in Pensacola is hot and humid for most of the year. You can expect to wear casual clothes, and you’ll likely celebrate the entire holiday season in shorts and t-shirts. We’ve spent several Thanksgivings in the Pensacola area, and though it’s not sunbathing weather, the combination of mild weather and minimal tourists for the off-season allowed us to take advantage of walks on the beach with family. It’s easy to give thanks when you’re celebrating your holidays like that! The major drawback of the Florida weather, however, is hurricanes. The last catastrophic hurricane was almost a decade ago, but the area is notorious for direct hits from epic storms. Given the proclivity for hurricanes causing significant damage to property, potential military homebuyers need to consider buying a property that is hurricane resistant. Though Florida attracts a large number of modular home buyers, it is important to know that those properties are not safe in the event of a large storm. If you choose to purchase a modular home, make sure that you are either prepared to execute an early evacuation or find a reliable hurricane shelter for your family. Don’t let hurricanes keep you from your dream of a beach lifestyle, though. Every location has a unique weather challenge, whether it's earthquakes, snow, or hail. Just make sure you make it a priority to create a plan for your new weather realities, and keep your home protected by purchasing adequate homeowner’s insurance for a home in a coastal region. Do you live in Pensacola? What advice do you have for military families who are relocating to the area this year?